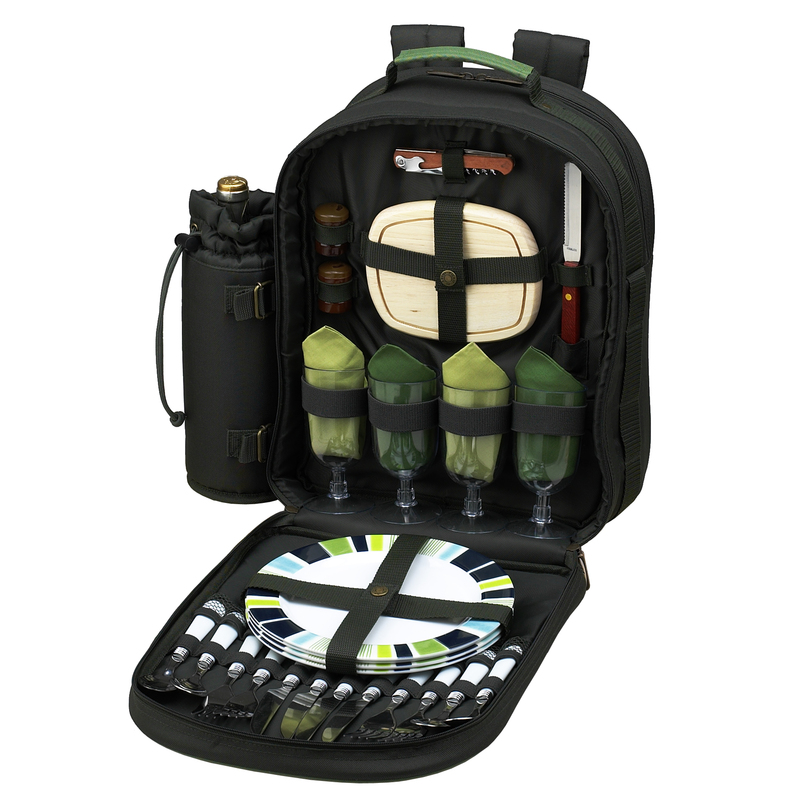 Eco Picnic Backpack is fully equipped with a complete picnic set and accessories for four people. 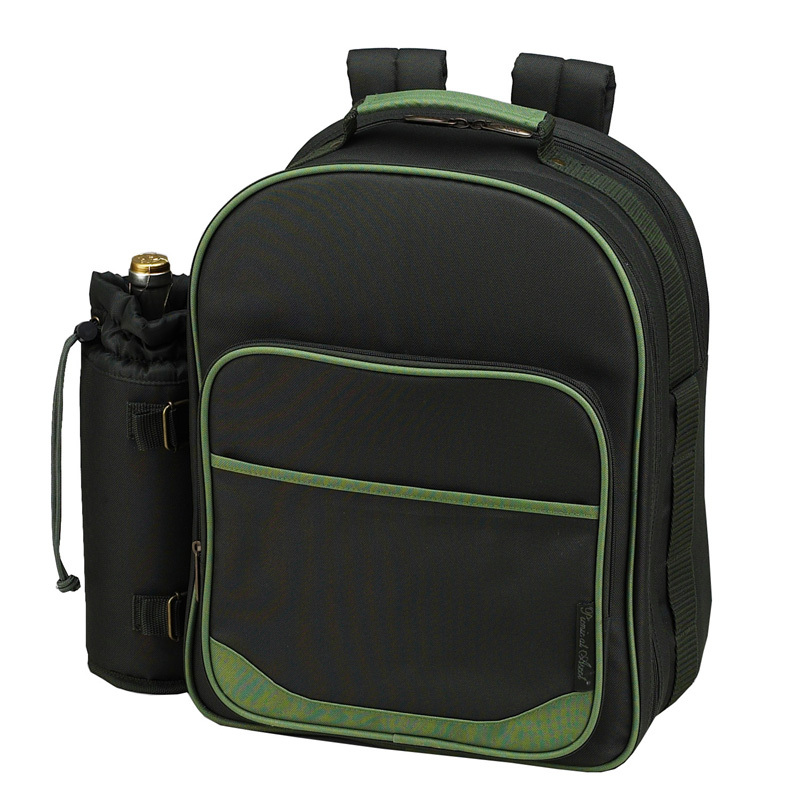 Environmentally friendly, it's constructed using PVC free fabrics and also features antique brass hardware, detachable insulated wine holder, and a roomy Thermal shield™ insulated cooler compartment to keep food and drink at the perfect temperature. Includes combination corkscrew, hardwood cutting board, cheese knife, wooden salt & pepper shakers with non spill tops, acrylic wine glasses, melamine plates, stainless steel flatware, and napkins. Lightweight, easy to carry with ergonomic Backpack straps. Lifetime Warranty.